On Tuesday though, the story was confirmed by an anonymous government official, who said authorities “had already handed out the equivalent of $125,000 in compensation to families of the victims,” a development further backed by The Guardian, which cited residents who had received the money. Reading this horrific news today, a few points struck me. First, 71 people are not just a statistic of this war, the unavoidable collateral of conflict. If the news coverage is accurate, this was avoidable. The fact that it occurred doesn’t just reflect “poorly on the security apparatus’ intelligence-gathering capacity,” as Dawn’s editorial suggested. It also is a testament to how little we know about this war, (see Huma Imtiaz’s fantastic related piece) and how counterinsurgency is more than a trendy term to throw around. Yes, “the battle for hearts and minds” has become a cliched and overused term, but the Pakistani military must understand that denying air strikes and civilian casualties may blindfold the larger public, but it undermines their campaign with the people directly impacted by their actions. At the end of the day, the local residents in the military’s area of operations are the ones who must be ensured safety and protection. Giving the victims’ families compensation, or “blood money,” does little more than bandage a wound. It cheapens the gravity of a tragedy. And it is certainly not enough. 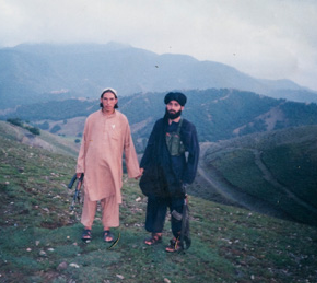 Once in Sararogha, they [Army] found ample evidence of a Taliban mini-state. A school had been turned into a militia training center and courthouse, with classes in how to manufacture improvised explosives and formal hearings on local disputes. Directives on Taliban letterhead, left scattered in empty rooms, ordered certain mullahs to be given weapons and decreed that no marriage dowry should cost more than $900. In the meantime, terrorist attacks continue to strike the rest of the country, particularly Peshawar, which has been heavily hit in the past few weeks. 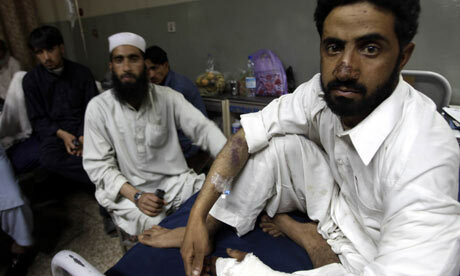 A suicide attack outside a judicial complex on Thursday killed 16 people and wounded 36, reported Dawn News. 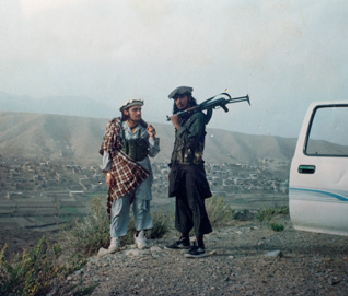 NYT: Mehsy (left) sports the latest Tartan style, while Mehsy (right) displays his new kicks. 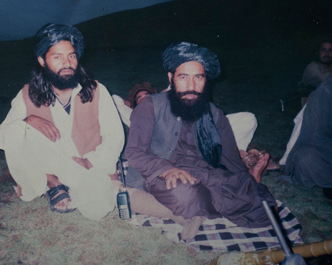 NYT: These fellows are sporting the latest Taliban headgear fashion! Aren't they just darling? NYT: You're a lion! A lion! Roar at the camera! Roar!